Miss Michigan Calls Out State for Flint Water Crisis in Her Miss America IntroInstead of listing her credentials, Emily Sioma brought up access to fresh water. 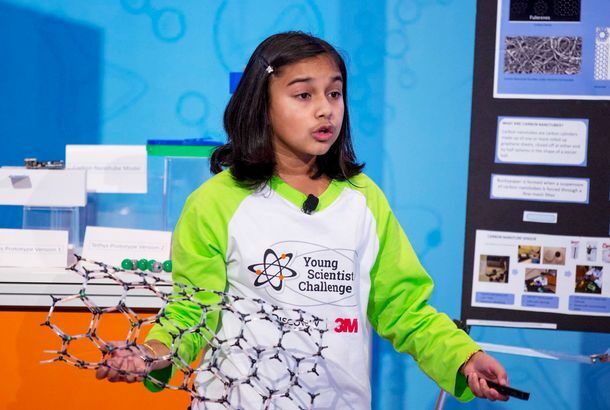 11-Year-Old Creates Lead-Detection Device to Help With Flint Water CrisisGitanjali Rao won $25,000 at a national science competition. Study Finds Fetal Deaths Increased 58 Percent During Flint Water CrisisFertility rates decreased 12 percent. 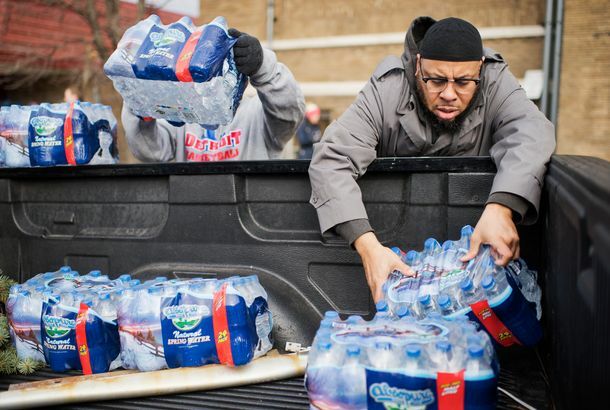 Flint Residents Must Pay Full Price for Water They Can’t Drink Without a FilterAs the water credits ended, the doctor who uncovered the crisis highlighted Flint’s plight as a guest at President Trump’s address to Congress. Cher Is Set to Star in a Lifetime Movie About the Flint Water CrisisOkay, sure. House Agrees to Stop Playing Politics With Flint, Attempt to Avoid ShutdownPaul Ryan and Nancy Pelosi reached a deal that is likely to dedicate aid for the water crisis and keep the government funded past Friday. People May Actually Go to Jail for Poisoning FlintThree state and local officials face felony charges for misconduct and conspiracy to tamper with evidence. Michigan Governor Rick Snyder Will Drink Flint Water to Prove Everything Is FineUnfiltered, even! Watch the Public Lashing of Michigan Governor Rick SnyderSnyder testified before Congress on Thursday. It didn’t go well. Michigan Governor Live-Tweets Debate ReactionsSnyder’s Twitter fingers were busy. I Went to Flint, Drank the Water, and Saw the Future of Civil RightsLessons from #JusticeForFlint. Flint Residents Vent Their Anger at Bernie Sanders ForumHe connected the water-contamination crisis to America’s crumbling infrastructure. Flint Residents Paid a Premium for Poisoned WaterA new study finds that Flint paid the highest water bills in the country. Pearl Jam, Jack White, Meek Mill, Others Rally to Help FlintThe bands are starting CrowdRise campaigns. EPA Regional Administrator Resigns Over Flint Water CrisisThe agency has also ordered Michigan to address the lead contamination immediately. Finger-Pointing and Fallout Over Flint Water Crisis ContinuesThe latest in the Michigan water-crisis case. Michigan Governor Calls Flint Water Crisis ‘a Disaster’The political fallout from the disaster continues.